Sacramento Lexus Repair and Service - TOS Auto Repair Inc. There may be many Lexus autos on the roads of Sacramento & Citrus Heights, but there aren’t that many great Lexus auto repair shops. TOS Auto Repair has a true love affair with all things Lexus and that’s why we have ASE-Master Certified and factory-trained auto mechanics. We continue to work hard to bring you and your Lexus the luxury-level workmanship and service you and your Lexus deserve. Lexus owners from Sacramento, Citrus Heights, Carmichael, Fair Oaks, Antelope, and well beyond bring their autos into TOS Auto Repair because we do everything to ensure a positive and smooth experience for you and your Lexus. We have Lexus factory tooling and equipment and our auto mechanics receive extensive ongoing training to keep them cutting edge so that no matter the year of your Lexus, we are well-prepared to handle the issue. 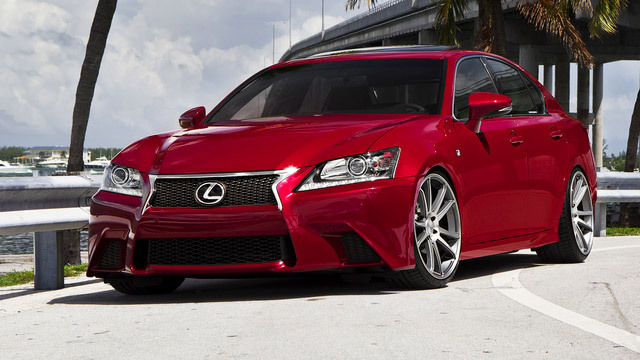 TOS Auto Repair has been working on Lexus since 1989 when the early release 1990 LS 400 first came to the United States. The TOS Auto Repair team is dedicated to staying cutting edge and we approach working on every single Lexus as if it were our own, backing our work with a 3-year/36,000-mile nationwide warranty to give you that extra peace of mind. Our waiting room is comfy, but we are happy to help you get to wherever it is you need to be because we know your time is valuable. Make an appointment today! TOS Auto Repair is conveniently located at 5656 Auburn Boulevard #13 in Sacramento, and we are here 7:30 AM - 5:30 PM, Monday - Friday.